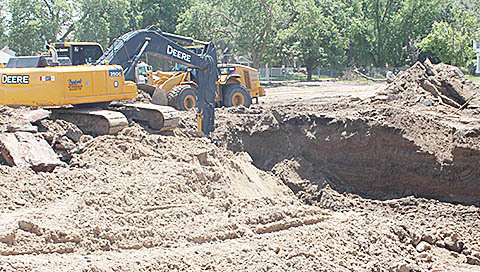 Deep excavation underway at Boone Central Schools. Deep excavation is underway at the Boone Central School construction site this week as excavators remove concrete and brick from the old high school building that were left behind when that building was demolished many years ago. This excavation will be about 15 feet deep at one location, and nine feet deep at another. 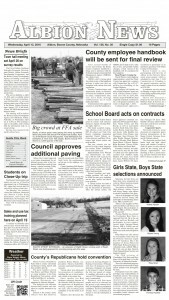 The work by Bygland Dirt Contracting is expected to continue through this week. New soil will then be brought in and compacted to fill the hole. A subcontractor, Thrasher Basement Systems, recently installed a “push-pin” system in the east foundation of the existing building to stabilize the structure for the new addition.